A nice small highly dissected Japonicum with a cascading habit. Nice for a small garden. Very slow growing but, will grow to 5 ft high and 2 ft wide in 10 yrs. 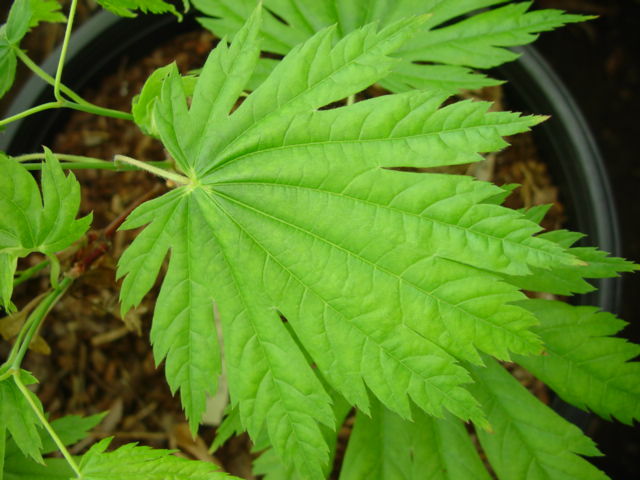 Leaves are light green with a silver pubescens in the spring turning golden and scarlet in the fall. Great for small gardens and containers. Sun/part shade in well-drained soil. Zone 5 Very hard to keep in stock.